Early in my career I was an assistant to principle investigators who were doing clinical trials of drugs to treat generalized anxiety disorder, major depression, schizophrenia, and Alzheimer's Disease. My job was top screen patients, do medical histories and physical examination, and follow them throughout the research protocol. That is not an easy job. The difficult part is making sure that the research patients are not getting any medical complications from a new and experimental drug in addition to assessing any possible therapeutic effects. One of the main complications was the nocebo effect. With all of the hype about placebo effects with antidepressants, I have always found it curious that few mention the nocebo and how it affects clinical research. To illustrate, I can vividly recall a young man who began to complain about a number of side effects during an antidepressant protocol. He had severe headaches, body aches and nausea. He was unable to sleep and his anxiety continued to increase. After about 2 weeks he insisted on stopping the experimental medication. In those days the approved research protocol allowed investigators to break the blind and let people know if they were taking the active drug or not. I recall his embarrassment when I explained to him that he was getting placebo and not the active drug. 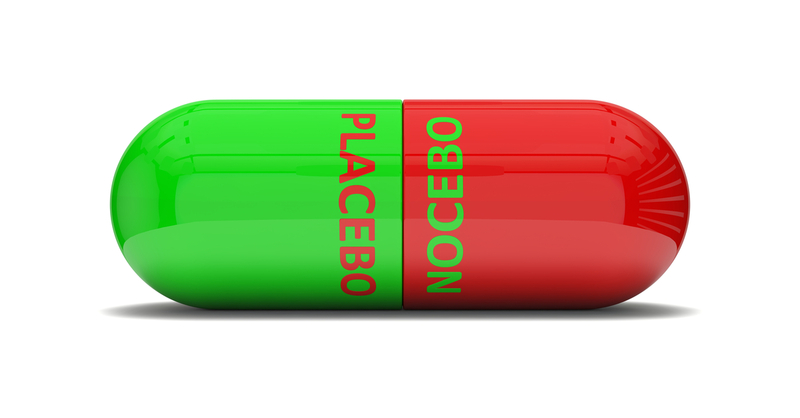 An adverse reaction to placebo is the nocebo effect. One of the main problems I encountered with this effect in clinical trials that is an even bigger problem today is loss of research subjects who terminated early due to nocebo effects. In the example I gave the patient developed significant side effects in response to a placebo, but people can also develop dramatic side effects to the active research medication. Whether they are more likely to get the effect from active drug or an active placebo over the active study drug has not been actively studied. These are critical questions because FDA trials now require and Intent To Treat Analysis for clinical trials. That means all of the research subjects who did not complete the protocol for whatever reason need to be included in the analysis. That becomes a problem when any subject has not been treated with the active drug - both in terms of true response but also side effects reporting. All FDA package inserts contain detailed information on medication side effects. Today in many cases there is a side effect comparison between active drug and placebo. Nocebo related data can skew the side effect data reported in the package inserts. I always thought that antidepressant trials were the ideal setting to study nocebo effects and came across a paper two years ago that does that (1). That time frame over the last two years was an interesting one. We saw all of the speculations about the release of the DSM-5 in the summer of 2015. Much of that speculation involved sensational articles in the media suggesting that antidepressant medications did not work or ate least were no better than the placebo effect. Further speculation suggested that pharmaceutical manufacturers and the American Psychiatric Association (via the DSM-5) had an interest in broadening the market for antidepressants and increasing their use. At no point did any of the critics suggest that their may be a serious problem with clinical trials based on the nocebo effect. And most interestingly, many of the critics in non-professional forum complained mostly about the side effects of these medications. In some cases they described these medications as very dangerous. The paper in reference 1 looks only at people receiving placebo in a pooled sample of placebo-arm data from 20 industry-sponsored multi-site randomized clinical trials of antidepressant medication in the treatment of acute major depression. Adverse event data was recorded for all 20 clinical trials. Adverse events (AE) can be pre-existing nonspecific somatic symptoms. Treatment emergent adverse events (TEAE) were events that occurred or worsened during placebo treatment. The adverse events were obtained by open ended questioning and in clinical trials from that period (1993-2010) were listed on standard forms. Five endpoints were studied including any AE, any treatment related AE, any severe AE, any serious AE resulting in discontinuation from the study, and discontinuation form the study for any reason. Worsening of clinical symptoms was also measured and defined as any increase in the depression rating score on any scale used for that particular study. 1. TEAEs from placebo were reported in 1,569/2,457 or 63.9% of the study participants. 2. 11.2% (274) of the participants had worsening depression rating scores during the placebo treatment. 3. 4.7% (115) of the participants discontinued the study due to an AE during the placebo treatment. Just considering those results and nothing more illustrates the nocebo problem with current state-of-the-art clinical trials technology. If 63.9% of the placebo-treated subjects experience side effects - what does that translate to in terms of subjects taking the active drug getting side effects unrelated to that drug? Although untreated depression might be expected to worsen - how much of that is nocebo modulated and how much crosses over to the active drug. A significant number of people dropped out of the trial due to the nocebo effect. The main results suggest that in randomized placebo controlled trials of efficacy and safety - the nocebo effect is substantial. Since the observed TEAEs and percentage of research subjects worsening on placebo was substantial - extension to TEAEs, worsening, and dropping out in clinical practice could be expected. That would be a very difficult problem to research due to a lack of standardization across practices. The authors did not stop with those results. They looked at additional variable to see if there was any evidence to confirm either of the two major hypotheses about the nocebo effect. The first is a conditioning hypothesis. In this effect, prior exposure results in the expectation of an associated effect. They cite as an example, women receiving chemotherapy for breast cancer and how an associated stimulus led to more nausea in the conditioned group (4). In this case they looked at previous treatment with antidepressants as a possible conditioning effect and did not find any significant associations. The other major hypothesis regard the nocebo effect is an expectation hypothesis. They cite an example where a sample of college students were given inert placebo and told that it was an herbal supplement for cognitive enhancement (5). They were provided with a fictitious list of potential benefits and side effects. Symptoms were endorsed by most students but the students who believed that they received the active supplement endorsed more symptoms suggesting that their expectation of supplement and effect affected their perception. They found some support that previous treatment with Hypericum perforatum (St. John's Wort) may have been associated with a greater likelihood of reporting TEAEs and suggest that users of complementary medications may be more suspect of medical pharmacotherapy. The paper is a fairly concise review of demographic and neurobiological factors associated with the nocebo effect. On the neurobiological side they cite the work of Enck, et al (6). Elman and Borsook (7) have an interesting paper that looks at addiction, pain, and several common substrates of the placebo and nocebo effects. The take home message for me is what I have known for over a decade at this point. Current clinical trials technology in psychiatry and medicine is general is very primitive. The evidence-based movement has had its day if this is the kind of evidence they are considering. Why would anyone expect much more than a mild to moderate effect from a medication used for heterogeneous disorders when the true effect of the medication is significantly affected by two factors that are never measured? This suggests areas for improvements in clinical trials that could render much of what has been collected so far - obsolete. A final observation comes to mind and that is a phenomenon that I wrote about on this blog many years ago. People with little to no expertise in psychiatry or medicine don't hesitate to criticize the field. A good example would be people who have never treated a single case of depression much less thousands of cases who do a meta-analysis and claim that antidepressants are placebos. I don't recall any of these critics in the popular press considering the limitations of clinical trials. Without that basic consideration any theory that fits the apparent data can apply. What would be useful at this point would be detailed analyses of the placebo arm of all clinical trials and a discussion of how these effects might bias the data. Actual interventions to quantify or eliminate these effects in future trials is the next step. These are more practical steps than hoping for mythical large clinical trials with slightly more sophisticated clinical trials technology that epidemiologists and the Cochrane Collaboration routinely recommend. 1: Dodd S, Schacht A, Kelin K, Dueñas H, Reed VA, Williams LJ, Quirk FH, Malhi GS, Berk M. Nocebo effects in the treatment of major depression: results from an individual study participant-level meta-analysis of the placebo arm of duloxetine clinical trials. J Clin Psychiatry. 2015 Jun;76(6):702-11. doi: 10.4088/JCP.13r08858. PubMed PMID: 26132671. 2: Gupta SK. Intention-to-treat concept: A review. Perspectives in Clinical Research. 2011;2(3):109-112. doi:10.4103/2229-3485.83221. 4: Bovbjerg DH, Redd WH, Jacobsen PB, Manne SL, Taylor KL, Surbone A, Crown JP,Norton L, Gilewski TA, Hudis CA, et al. An experimental analysis of classically conditioned nausea during cancer chemotherapy. Psychosom Med. 1992 Nov-Dec;54(6):623-37. PubMed PMID: 1454956. 5: Link J, Haggard R, Kelly K, Forrer D. Placebo/nocebo symptom reporting in asham herbal supplement trial. Eval Health Prof. 2006 Dec;29(4):394-406. PubMed PMID: 17102062. 6: Enck P, Benedetti F, Schedlowski M. New insights into the placebo and nocebo responses. Neuron. 2008 Jul 31;59(2):195-206. doi: 10.1016/j.neuron.2008.06.030. Review. PubMed PMID: 18667148. 7: Elman I, Borsook D. Common Brain Mechanisms of Chronic Pain and Addiction. Neuron. 2016 Jan 6;89(1):11-36. doi: 10.1016/j.neuron.2015.11.027. Review. PubMed PMID: 26748087. Arthur Barsky wrote an article in this week's JAMA entitled "The Iatrogenic Potential of the Physician's Words." Dr. Barsky is one of those authors I have been reading over the past 20 years. He is a psychiatrist and an expert on psychosomatic medicine. Like a number of authors, when I see his name - I just read the article. It is automatic. This article is brief but it contains a lot of wisdom about how communication with patients can affect the expected outcome of medical treatment. There are several points in the article that just jump out at you if you are an experienced clinician and have followed many patients. "Somatic symptoms and underlying disease do not have a fixed, invariable, one-to-one equivalence." Physicians of course are trained to see a multitude of presentations of illness. Influenza is a good example. The majority of people are more ill than if they have the common cold, but a significant number are critically ill and dying. For example in 2016, the CDC estimated that about 24.6 million people got the flu, 308,000 were hospitalized, and 11,995 died. Theoretically there are a number of people with few or no symptoms who can still spread the virus. There are a significant number of factors in both the disease vector and the host that determine a wide array of outcomes. Infectious diseases provide the most straightforward example or variability in symptoms, underlying illnesses and outcome. With the chronic complex, polygenic illnesses that require ongoing medical care the situation is less clear. In this case we have a patient who is constantly updating their assessment of their problems, symptoms, and state of their illness. They make similar determinations about any medicine or treatment that their physician wants them to take. A significant part of that determination is based on the information that they obtain from their physician or other sources and more importantly how it is presented. From a psychiatric perspective it should be presented as neutral as possible, but patients vary greatly in their reactions to even fairly dry information. As an example, I typically provide patients with MedlinePlus information on their medications. I consider these documents to present all of the essential unbiased information. It is still common to encounter people who tell me: "Don't give me that doctor! I know if I read it I will get every side effect that is listed!" I honor their request and reassure them that they can call me if there are any problems. Dr. Barsky focuses on the informed consent aspect of treatment and how the information presented can affect the patients reaction to the treatment. He gives examples of men warned about the sexual side effects of beta blockers getting roughly twice as much sexual dysfunction and back pain patients undergoing spine imaging having more pain, functional impairment and physician visits. Psychiatry has the additional burden of many more vocal critics promoting the side effect burden of medications, often to the point that it seems like there was a conspiracy to "cover them up". That results in patients in the office complaining about what they have read online, even before the informed consent discussion begins. There is a discussion of the nocebo effect or adverse effects to placebo treatment that does not receive enough discussion within medicine. I had early familiarity with this phenomenon from my work with clinical trials of pharmaceuticals (antidepressants, anxiolytics, antipsychotics). In each case the active drug was compared to placebo and patients were followed closely. In those days we were allowed to break the blind to tell patients if they were on active drug or placebo. The first time I encountered the nocebo effect, I was treating a young man with an experimental anxiety medication. He bitterly complained of many side effects initially and at the second or third visit said that he could no longer stand it. He needed to be taken off the medication because it was making him extremely ill. I broke the blind and told him that he was taking an inert placebo. He was somewhat embarrassed but the symptoms resolved during the time he was sitting in my office. Since then I have seen the nocebo effect hundreds of time in clinical practice. Many of the predisposed claim a high sensitivity or allergy to multiple medications and warn me ahead of time that they need to start on the lowest possible dose of medication. Even then it is dicey. Over the years that led me to develop a uniform informed consent decision designed to minimize the nocebo effect. I think it is fairly straightforward to provide all of the relevant information in a manner that transmits both the side effect but also the likelihood of developing the side effect to the patient. Worst case scenarios are never avoided. For example, I always warn people on serotonergic medications about the risk of serotonin syndrome and the fact that it can be lethal. I also let them know that the chances of developing serotonin syndrome are very low. I use the same approach for tardive dyskinesia and other tardive syndromes, diabetes mellitus, cardiac arrhythmias, metabolic syndrome, seizures, neutropenia and agranulocytosis, and neuroleptic malignant syndrome. But also give them an estimate of how likely it is that they will develop that side effect or how often I have seen the side effect in 30 years of practice. That approach seems to have the expected effect on false positive reports of these symptoms and in fact I am much more likely to notice threshold symptoms (hypophonia, micrographia, etc) than the people who I warn about the side effects. A second tier of symptoms surrounds the issues of sexual side effects and weight gain. A significant number of people are averse to trying any medication that might result in either side effect. That can occur even when they want to take the medication. In that situation it is useful to have a comprehensive reference that described the entire range of side effects in clinical trials for specific medications and present the facts. The facts will generally illustrate that the side effect of concern is not universal by any means and can be addressed if it happens in the case of sexual side effects or proactively (at least in some cases) in the case of increased appetite and weight gain. Given the long list of potential side effects, reassurance that they will be assessed and a plan put in place to address them is the best approach to informed consent. The other discussion that most people find reassuring is that I have a low threshold for stopping a medication that causes any side effect that a patient finds distressing. During residency I had the experience of stopping an antidepressant medication that a patient had been on for 5 years. He was complaining primarily of a flu-like syndrome and headaches. After that medication was stopped those symptoms cleared up entirely. Since that incident, I routinely advice patients that I don't advise that they try to "get used to" medications and that I would prefer we just stop a medication if it is causing problems and try a different approach where possible. Barsky invokes viscerosomatic amplification as a likely cause of information affecting symptom perception. He provides a very interesting supplement outlining a process whereby both benign but noticeable bodily sensations and disease symptoms of varying intensity are biased by information provided by the physician leading to a feedback loop of increasing anxiety, vigilance, and reactivity. Psychiatrists used to treating anxiety disorders are probably very familiar with this mechanism. I routinely ask those patients if they have cardiac awareness. Are they aware of their heart beating as they lay awake in bed at night waiting to fall asleep? Is it more intense than that - like their entire body is pulsating? What is their theory of what is happening? Are they concerned that there is something wrong with their heart? That phenomenon suggests that anxiety plays a significant role in selective attention and hypervigilance that is internally focused. It also suggests a major role for temperament and personality factors in the hypervigilance process since so many patients experience the anxiety at that level. Concrete steps to minimize the symptom amplification process are discussed and they logically follow the proposed mechanism. The meaning to the patient of the symptoms needs to be explored. Education can be provided about both the nocebo effect and the amplification process. I typically use my research vignette for the nocebo discussion. The purported evolutionary aspects of anxiety and how it results in theories including somatic theories is a good starting point. The article suggests that "contextualized informed consent" can be useful or a method not enumerating "benign, nonspecific symptoms" with the patient's consent. This is often a practical matter given the length of rare and nonspecific symptoms included in package inserts these days. If the patient present with what I consider to be a rare side effect, I will look it up during the session, give them a ballpark estimate of how common it was in the clinical trials and discuss other potential causes. The article also points out that side effects can also point to problems in the physician-patient relationship. Psychiatrists who are training in therapeutic neutrality often encounter difficulties with dependent patients who frequently present as not tolerating any medication or suggestion. In addition to typical prescription scenarios this dynamic applies to other important clinical scenarios. Treating acute and chronic pain is a case in point. There is probably no better example of patient expectations based on physician advice than this prescribing relationship. If opioids are involved the scenario is complicated by a medication that reinforces its own use. The physician discussing medication response can bias the patient in the direction of dose escalation in the context of what is perceived as an incomplete response to pain when chronic pain does not respond completely to opioid analgesia. In many cases entire illnesses are the result of problematic information supplied by physicians. Cases of chronic Lyme disease and the extremes that many of these patients go to including the application of devices that constitute medical quackery is another example. The best approach in these cases is to discuss the patient's theory of their current symptoms and how anxiety amplifies these symptoms. At that point an alternate more plausible theory for their distress can be discussed and it often results in significant improvement if not resolution of symptoms. I can't recommend this brief article by Dr. Barsky enough. It should be read and understood by all psychiatric trainees and practicing psychiatrists. These concepts are critical to both discussions with patients about a treatment plan in order to avoid iatrogenic effects and to make sense out of somatization. 1: Barsky AJ. The Iatrogenic Potential of the Physician's Words. JAMA. 2017 Dec 26;318(24):2425-2426. doi: 10.1001/jama.2017.16216. PubMed PMID: 29090307. I read Lisa Rosenbaum's opinion piece in this week's New England Journal of Medicine (1). She discusses both sides of the rationing coin. On the one hand, we don't want to reduce resources to the point that people do not get necessary care. On the other hand there are forces including financial incentives and the inability of physicians to tolerate the diagnostic uncertainty of not performing the necessary tests that lead to both increased cost and in some cases unnecessary risk to the patient. She provides an example from her personal medical history on forgoing a recommended test with no associated adverse outcome. A lot of the article is written from her perspective as a cardiologist or cardiology fellow. I can recall, the think tank studies from the 1980s suggesting that coronary artery bypass surgery was overutilized. There are many studies that suggest that medical treatment of coronary artery disease provides similar outcomes. Today we hear the same arguments about the treatment of the atrial fibrillation epidemic and the equivalence of rate control versus rhythm control. The options are presented as a coin toss to many patients. But in both cases it is much more than that. Anytime population based averages of care are applied across large populations there will be a significant number of people who do worse than the norm and may have done better with the other option. My concern has always been, the implicit pressure by healthcare companies to make money by exerting pressure in the direction of the least expensive option right up to including no care at all. Dr. Rosenbaum discusses the "less is more" movement and the Choosing Wisely campaigns to reduce unnecessary care. She discusses the early role of the Dartmouth Atlas in pointing out the lack of correlation between cost of care and outcomes - a notion that has been discredited (2) but it was the mantra of administrators for nearly two decades. She concludes that these movements resulted in the idea that "less care is better care or that more care is harmful." She reviews more recent data that higher spending is associated with better outcomes. She includes recent research on unnecessary admissions and how Medicare beneficiaries discharge from the emergency departments (ED) of hospitals with the lowest admission rates were 3.4 times as likely to die with a week than similar patients admitted to hospitals with higher admission rates - even though those same patients were healthier. She discusses overdiagnosis in cardiology. Unlike psychiatry, cardiology has a considerable array of biochemical markers, electrophysiological studies, and imaging studies that are very useful in the diagnosis and management of their patients. She illustrates the trade offs involved in considering false positives for troponin and how liberalization of the cut-off values leads to better diagnosis and treatment rather than overdiagnosis. In the area where I currently practice, the entire landscape for diagnosing and treating suspected acute coronary syndrome (ACS) has changed significantly. Nobody tries to guess if chest pain has a cardiac origin or not. Middle-aged patients are generally admitted and tested with troponin levels and an exercise stress test the following morning if the troponins are negative. If the stress test is negative they are sent home. In most acute care metropolitan hospitals there is ample intensive care and telemetry space to accommodate all of these admissions. The cost of that overnight admission to cardiology exceeds the cost of a week long admission to an inpatient psychiatric unit with a psychosis diagnosis. What is the parallel process on psychiatry? A patient in crisis presenting to an ED of a metro hospital in crisis has no similar guarantee of cautious screening. In the majority of cases they will never see a psychiatrist. In most cases the assessment and screening is done by nonphysicians. In addition, diagnoses and syndromes are generally secondary in the discharge process. The only way that patient gets admitted is dangerousness to self or others. That could be due to an acute intoxication, an emotional overreaction, a mood disorder, a developmental disorder, a neurodegenerative disorder, or a psychosis. The only thing that counts is the dangerousness. There are no biochemical markers or imaging markers of dangerousness. There is significant disagreement in many cases among clinicians, patients, and their families. If a person is admitted either voluntarily or on a legal hold - in any case they will typically find themselves sitting on a psychiatric unit until somebody determines that they are no longer dangerous. Hopefully they will see a psychiatrist and other skilled professionals like trained psychiatric nurses, social workers, and occupational therapists - but there is no guarantee. The issue in an acute dangerousness based psychiatric hospitalization is not a question of overdiagnosis - but whether the patient will get the correct diagnosis and an adequate medical evaluation and discharge plan. The driving force for that is rationing. The cost of an overnight stay on a cardiology unit with telemetry, blood tests, and an exercise stress test in the morning easily exceeds the payment for complex psychiatric care. I would say that complex psychiatric care is the equivalent to treating a person with a psychosis, extreme mania, or life threatening catatonia or depression. In general we are not worried about the issue of overdiagnosis. People flee psychiatric units if they are given the opportunity and they don't really care if they get diagnosed or not. Psychiatrists cannot present them with an array of options because there aren't any. When I saw the term overmedicalizing in Dr. Rosenbaum's title - I wondered if she was aware of its Szaszian origins? Szasz was apparently so enthralled by a form of psychiatric treatment that was totally subjective and more akin to a literary critique that he suggested society has an interest in using psychiatry as a way to exert social control over certain subgroups. The logical conclusion is that mental illness is not a disease and calling something an illness is strictly a power play. For some reason society and its unholy alliance with psychiatrists is seeking to exert power over a subset of society for unclear reasons. I doubt that Dr. Rosenbaum is using the Szaszian definition. She is probably referring to any number of situations where non-disease is treated as disease. There are many problems with Szasz - not the least of which is how he would end up treating any number of severe mental conditions. More modern authors on what is and is not a disease seem confused about the imprecise definition, especially in the absence of gross pathology. There is no family member affected by schizophrenia, bipolar disorder, depression, alcoholism, or addiction that doubts for a moment that these are diseases. They generally don't doubt that psychiatrists, at least until very recently were the physicians most interested in treating these problems. Dr. Rosenbaum's theme does not seem to apply to psychiatric practice. There are no expensive tests to overutilize. Stays on inpatient units are capped by ridiculously short lengths of stay that do not reflect the severity of illness. Even then - admissions to psychiatric units are generally under the control of emergency physicians. This is part of the oversimplication, that she referred to. That oversimplification characterized all inpatient stays by diagnosis related groups (DRGs) and suggested that all inpatient stays could be kept to a certain number of days or cost. Nothing else was necessary. This led to three outcomes that led to very subpar care. The first outcome was the deterioration of inpatient services. Rationing does not maximize state of the art care and practically all inpatient units are essentially observation services waiting for people to become less dangerous. Dialogue with patients on acute care units is essentially focused on that issue. Addressing the psychiatric disorder is a consideration only as it applies to dangerousness. I have had many utilization reviewers tell me that they would no longer pay for the treatment of extremely ill people because they did not seem to be dangerous. The second outcome was splitting off addiction treatment. At some point, a large number of detox admissions were directed to psychiatry because medicine units no longer did detoxiification. Then at some point to capitalize on the DRG payments, psychiatric units not longer did detox. patients with addiction were sent from the ED to a county detox unit. The only time they came back is if they experienced seizures or delirium tremens. The overall rationale is saving the insurance companies money. They don't cover people at county detox units. The third outcome is that patients with severe psychiatric disorders are sent to jail rather than inpatient units. This has resulted in county jails becoming the largest psychiatric hospitals in the United States at a time when psychiatric beds per capita here are among the lowest in the world according to OECD data. All of these changes are associated with a tremendous lack of quality and would be a national embarrassment - if they were not viewed as cost effective by the businesses and governments in charge. The American Psychiatric Association and other district branches still incorporate the cost effective rhetoric when in fact, psychiatry left cost effective in the rear view mirror thirty years ago. Psychiatrists don't have expensive procedures to order. In psychiatry less is less (or no) time seeing a psychiatrist. Less is no time being treated in a medically supervised and therapeutic inpatient or detox unit when you need it. Less is no psychotherapy that might work for you. Less is no case management services. Less is no public health nursing. Less is not taking the best medication because a pharmaceutical benefit manager says you will have to pay full price for it. Less in no available child psychiatrist when they are needed. Less is not getting your blood pressure checked in a public clinic because there are no blood pressure cuffs. Less in psychiatry is obviously far less than any other speciality. That brings me to the last concept in the article illusions of value. There is no greater illusion of value than current psychiatric care and that is not because of psychiatrists. To give a clear example, I am an excellent diagnostician - both medical and psychiatric illnesses. I can figure out what is wrong with people and come up with a plan to address all of those issues. I can't do it in a 15 minute appointment. I can't do it if I have to type up all of my encounters like a stenographer or waste my time supporting horrible electronic health record software. In the case of people with severe problems, I can't do it without staff people who can get the patient to the appointment to see me and make sure that the person follows up with all of my recommendations. Without all of that infrastructure on the outpatient side, I will end up seeing about 60% of the people who are scheduled and the average person coming back will tell me they are taking their prescribed medication half of the time. Almost all of that supporting infrastructure has been eliminated in the past 30 years and managed care organizations have set up psychiatric services based on the prescription of a medication. Even if you have a severe problem. Show up 3 or 4 times a year, have the psychiatrist ask you a few questions, and get enough refills until the next appointment. Psychiatry is actually a paradigm that the rest of medicine should look to in terms of less is less. In her final sentence Rosenbaum describes "less is more" as an aphorism that is "better suited to telling coherent stories than to the complex decisions faced by doctors and patients." I could not agree more. My only qualifier would be that the administrators are always telling their coherent stories that make it seem like they know more than physicians know about medical practice. They do a great job of selling it and convincing people that a symptom checklist and an antidepressant prescription constitutes optimal care. That is the only way that the current abysmal psychiatric services offered by large health care corporations could get a pass. 1: Rosenbaum L. The Less-Is-More Crusade - Are We Overmedicalizing or Oversimplifying? N Engl J Med. 2017 Dec 14;377(24):2392-2397. doi: 10.1056/NEJMms1713248. PubMed PMID: 29236644. Takotsubo's cardiomyopathy (TC) is a form of acute dilated cardiomyopathy. It was first described in Japan in 1990 and since then there have been increasing reports of the problem. It is an uncommon problem thought to be due to excessive catecholamines and their effects on heart muscle. A definitive source on the autonomic nervous system points out that the plasma levels of catecholamines are extreme and consistent with activation of both the sympathetic nervous system and adrenal medulla (15). As seen in the above ventriculography the left ventricle is dilated and elongated. The typical presentation is acute coronary syndrome (dyspnea, chest pain, syncope) with a low to modest levels of troponin - a biomarker for cardiac tissue damage. Electrocardiogram show T wave inversions and ST segment elevation. Echocardiograms show The imaging results generally show and acutely dilated and lengthened left ventricle and wall motion abnormalities. Overall this pathology represents a low number of cases with acute coronary syndrome. Most people recover in up to 4 weeks if the diagnosis is made and the patient is treated. That treatment may involve the discontinuation or changing of antidepressant medications. One of the questions that psychiatrists face is whether to resume existing therapy or withhold in the case of a new diagnosis of cardiac disease. It is not an easy decision. At least it is not a straightforward as it used to be. In complicated situations in the past, psychiatric medications were routinely discontinued. Today - talking with a consultant it is much more common to hear: "Yes those adverse reactions are possible but if the patient needs the medication - they need the medication." There are no strict rules on the issue like there seem to have been at one point. The ideal medication for cardiac problems in psychiatry has limited effect on cardiac conduction and is benign in terms of hemodynamics. Those effects are difficult to predict on both an individual and group basis in that small number of cases where the response is more critical. As an example, I contacted an expert on hypertension and he advised me that he was generally unconcerned about the two antidepressants that I end up monitoring for possible effects - buproprion and venlafaxine. In his experience, he though they added an average of 3 mm Hg systolic hypertension and that is trivial. I am seeing people on more medications who may have alcohol and substance use problems that can significantly compound the hypertension problem. The blood pressure I see are considerably higher in some cases where these antidepressants are used or added. TC was first reported in 1990. Case reports on TC and the association with antidepressants began to show up in about 2008 with a case report involving nortriptyline (15). A recent letter to the editor (1) points out the trend and the possible correlation based on the temporal relationship between antidepressant initiation/titration and TC (4). In that paper the authors identified 8 cases in the literature and a case series of 6 patients. They report their case as well as 8 additional cases and the demographic, clinical, laboratory data of all of the patients. Eight of 9 cases were women in the age range of 37 to 82. In each of these cases the patient was taking an SNRI (venlafaxine, desmethylvenlafaxine, and duloxetine). The youngest patient overdosed on 2100 mg venlafaxine. The presumed etiology in the initial cases was a stressor that lead to catecholamine excess and cardiomyocyte toxicity, but in 5/9 cases a stressor was not present. Although the authors note the association with SNRI type antidepressant case have been reported with atomoxetine (an NRI), fluoxetine (an SSRI), with a case of serotonin syndrome, and withdrawal of antidepressant therapy. The association in the case reports may be seem more robust that it really is. Although the case reprts and incident of ACS are low - the sheer number of cases (one every 25 seconds in the USA) assures that even low prevalence disorders like TC will occur in significant numbers. What are the implications for psychiatrists? The prototype for me in this case was clozapine. Clozapine is an atypical antipsychotic with many side effects. The focus for most psychiatrists has been the neurophil monitoring and prevention of agranulocytosis. Clozapine also has significant cardiac side effects including acute myocarditis with typical symptoms of myocarditis. I think that anyone prescribing clozapine needs to be aware of these symptoms and monitor the patient for them. In this case the cardiac review of systems is critical along with the physical examination of the patient at every visit or at least until they are on a stable dose of medication. Antidepressants are generally approached in a more casual manner than antipsychotics. Every patient needs to be carefully screened for side effects and the medication needs to be stopped or modified as indicated. There should be more vigilance after FDA warnings about the QTc prolonging properties of antidepressants specifically citalopram. But if a patient has an arrhythmia questions on a review of systems are probably not enough. I can say that because I take my own vitals signs and know that patients with new onset arrhythmias (atrial fibrillation, ventricular premature contractions, bigeminy, etc) are generally missed with standard blood pressure measurement systems and the patient is unaware that they are no longer in normal sinus rhythm. In many cases tachycardia and other symptoms of acute coronary syndrome are the only findings. These case reports illustrate to me that psychiatrists and primary care physicians prescribing these medications need to have a low threshold for testing and referral both to the emergency department and cardiology. As previously posted - if you are in a large mental health clinic and have enough support staff - consider getting an ECG machine. A faxed abnormal ECG and a verbal report is a sure way to get the attention of a cardiologist or emergency medicine physician. In terms of the eventual epidemiology and pathophysiology of TC, inferring that SNRIs are definitely involved in either is highly speculative at this point. In many ways the situation resembles the problem of seeing Vitamin D deficiency as being causative for any number of disorders when there is a high prevalence of Vitamin D deficiency in the population. I have always seen SNRIs as better tolerated than SSRIs with a cardiac safety profile that might be slightly better if the prolonged QTc interval issue with citalopram was real. The best way to study the issue is to identify large numbers of patients with TC on echocardiogram and compare them to a control group and see if the correlation between SNRIs and TC is real. As far as I know that study has not been done. In the meantime, pay close attention to the cardiovascular status of patients on antidepressants, especially during the titration phase and if they may have a high catecholamine load inferred from clinical anxiety, exacerbations of physical illness, and stress levels. . Use findings like tachycardia as a prompt for more focused questions and examination. Takotsubo's cardiomyopathy is just another medical condition that can complicate psychiatric treatment - that you do not want to miss. 1: Madias JE. Venlafaxine and takotsubo syndrome: Can we learn more from published patient cases? Int J Cardiol. 2016 Dec 15;225:73-74. doi: 10.1016/j.ijcard.2016.09.133. Epub 2016 Oct 1. PubMed PMID: 27716552. 2: Conrad SK, Catalano MC, Catalano G. The Use of Fluoxetine in a Patient With Takotsubo Cardiomyopathy. J Psychiatr Pract. 2016 May;22(3):234-8. doi: 10.1097/PRA.0000000000000151. PubMed PMID: 27123803. 3: Naguy A, Al-Mutairi H, Al-Tajali A. Atomoxetine-related Takotsubo Cardiomyopathy. J Psychiatr Pract. 2016 May;22(3):232-3. doi: 10.1097/PRA.0000000000000152. PubMed PMID: 27123802. 4: Vasudev R, Rampal U, Patel H, Patel K, Bikkina M, Shamoon F. Selective Serotonin-norepinephrine Reuptake Inhibitors-induced Takotsubo Cardiomyopathy. N Am J Med Sci. 2016 Jul;8(7):312-5. doi: 10.4103/1947-2714.187153. PubMed PMID: 27583240. 4: Madias JE. Withdrawal of prolonged antidepressant therapy and Takotsubo syndrome. Heart Lung. 2014 Nov-Dec;43(6):578. doi: 10.1016/j.hrtlng.2014.06.053. Epub 2014 Jul 22. PubMed PMID: 25063669. 5: Dias A, Franco E, Figueredo VM, Hebert K, Quevedo HC. Occurrence of Takotsubo cardiomyopathy and use of antidepressants. Int J Cardiol. 2014 Jun 15;174(2):433-6. doi: 10.1016/j.ijcard.2014.04.028. Epub 2014 Apr 13. PubMed PMID: 24768456. 6: Kitami M, Oizumi H, Kish SJ, Furukawa Y. Takotsubo cardiomyopathy associated with lithium intoxication in bipolar disorder: a case report. J Clin Psychopharmacol. 2014 Jun;34(3):410-1. doi: 10.1097/JCP.0b013e3182a95a27. PubMed PMID: 24699038. 7: Marabotti C, Venturini E, Marabotti A, Pingitore A. Delayed multifocal recurrent stress-induced cardiomyopathy after antidepressants withdrawal. Heart Lung. 2014 May-Jun;43(3):225-30. doi: 10.1016/j.hrtlng.2014.03.003. PubMed PMID: 24794783. 8: Neil CJ, Chong CR, Nguyen TH, Horowitz JD. Occurrence of Tako-Tsubo cardiomyopathy in association with ingestion of serotonin/noradrenaline reuptake inhibitors. Heart Lung Circ. 2012 Apr;21(4):203-5. doi: 10.1016/j.hlc.2011.12.004. Epub 2012 Jan 27. PubMed PMID: 22285074. 9: Rotondi F, Manganelli F, Carbone G, Stanco G. "Tako-tsubo" cardiomyopathy and duloxetine use. South Med J. 2011 May;104(5):345-7. doi: 10.1097/SMJ.0b013e318213f3e5. PubMed PMID: 21606714. 10: Trohman RG, Madias C. Duloxetine-induced tako-tsubo cardiomyopathy: implications for preventing a broken heart. South Med J. 2011 May;104(5):303-4. doi: 10.1097/SMJ.0b013e318213d10f. PubMed PMID: 21606702. 11: Forman MB, Sutej PG, Jackson EK. Hypertension, tachycardia, and reversible cardiomyopathy temporally associated with milnacipran use. Tex Heart Inst J. 2011;38(6):714-8. PubMed PMID: 22199446; PubMed Central PMCID: PMC3233339. 12: Selke KJ, Dhar G, Cohn JM. 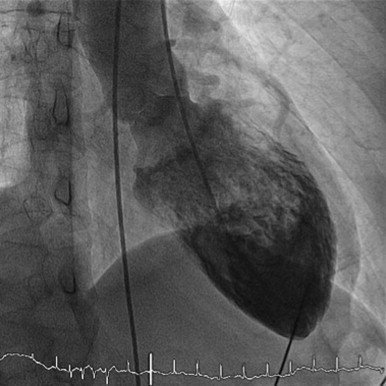 Takotsubo cardiomyopathy associated with titration of duloxetine. Tex Heart Inst J. 2011;38(5):573-6. PubMed PMID: 22163139; PubMed Central PMCID: PMC3231522. 13: Mehta NK, Aurigemma G, Rafeq Z, Starobin O. Reverse takotsubo cardiomyopathy: after an episode of serotonin syndrome. Tex Heart Inst J. 2011;38(5):568-72. PubMed PMID: 22163138; PubMed Central PMCID: PMC3231548. 14: Christoph M, Ebner B, Stolte D, Ibrahim K, Kolschmann S, Strasser RH, Schön S. Broken heart syndrome: Tako Tsubo cardiomyopathy associated with an overdose of the serotonin-norepinephrine reuptake inhibitor Venlafaxine. Eur Neuropsychopharmacol. 2010 Aug;20(8):594-7. doi: 10.1016/j.euroneuro.2010.03.009. Epub 2010 May 7. PubMed PMID: 20451358. 15: De Roock S, Beauloye C, De Bauwer I, Vancraynest D, Gurne O, Gerber B, Hantson P. Tako-tsubo syndrome following nortriptyline overdose. Clin Toxicol (Phila). 2008 Jun;46(5):475-8. doi: 10.1080/15563650701519786. PubMed PMID: 18568805. 16: Wachira JK, Stys TP. Cardiovascular disease and bridging the diagnostic gap. SD Med. 2013 Sep;66(9):366-9. Review. PubMed PMID: 24279112. 17: Goldstein DS. Catecholamines 101. Clinical autonomic research : official journal of the Clinical Autonomic Research Society. 2010;20(6):331-352. doi:10.1007/s10286-010-0065-7. "Levocardiography in the right anterior oblique position shows the picture of an octopus pot, which is characteristic for Takotsubo cardiomyopathy." Hammer N, Kühne C, Meixensberger J, Hänsel B, Winkler D. Takotsubo cardiomyopathy - An unexpected complication in spine surgery. Int J Surg Case Rep (2014). Link Used per open access license. How Will Electronic Pill Monitoring Be Accepted In A Post-Orwellian Society? Pretty well I would say. That is by definition. Orwellian is a term that captures the world George Orwell described in his classic book 1984. Free society no longer exists as the people are manipulated by state propaganda, surveillance, and overt coercion. As Orwell put it (1): "Political language is designed to make lies truthful and murder respectable and to give an appearance of solidity to pure wind." More contemporary authors like Nunberg(2) have pointed out that somewhere along the way - what were considered classic Orwellian terms like jackboot have been replaced with less emotionally loaded terms that nonetheless have the same value as propaganda or misinformation. Recent events illustrate that the Internet is a veritable firehose of misinformation from a wide range of parties that have to gain from misdirecting the public. Nunberg points out that political language these days is less stark and intimidating than Orwell proposed - but the intent is undeniable. A parallel process has been the gradual loss of privacy ever since the monitoring with Social Security numbers became widespread. There is an associated acceptance that the government and even businesses should have wide spread access to personal information of most if not all citizens. Forty years ago, no physician would have predicted that medical care in the US would be dictated by governments and businesses. Health care in America is definitely post-Orwellian. Patients don't complain. The physicians that do are typically squelched by the big tent philosophy of medical societies and businesses that have an affinity for the physician executive. That brings me to the topic of electronic monitoring of medication compliance or adherence. No matter what you call it - it involves the percentage of medications taken as prescribed. I am often in the situation where I am seeing a patient in an initial consultation and I have to determine what medications they were taking from a list of medications labelled as their medications. In addition to the specific medications, I ask them what percentage of the medications they have been taking in the past month. I get estimates from 0% to 50% in many cases. Not taking medications is a significant cause of morbidity and mortality not only in psychiatry but also in populations taking antihypertensives, cardiac medications, antibiotics, and medications for diabetes mellitus. Enter the new idea in pharmaceuticals. Put a chip in the pill and use it to monitor the pills taken. More advanced applications include monitoring of physiological parameters or in the case of electropharmaceuticals deliver a therapeutic electric current to an organ or system in the body to treat disease. The first device to be sold in an FDA approved medication is the the Abilify MyCite preparation (aripiprazole-sensor) sold by Otsuka Pharmaceutical Company. 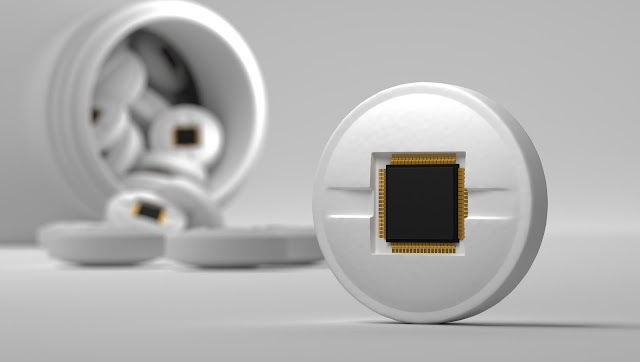 The system consists of a small (1 mm) chip in the pill. The system was designed by Proteus Digital Health. The chip consists of a small silicon microcircuit that transmits a unique identification code when the pill hits gastric acid. The chip is not powered by a battery, but an electrochemical reaction that occurs when the cuprous chloride and magnesium strips on the chip meet stomach acid and that triggers a brief electrochemical reaction that transmits the code to a patch the patient wears on the skin. From there the data is transmitted to a Smartphone App and a provider portal on the Internet. Continuous Positive Airway Pressure (CPAP) machines use a similar data transmission systems so that the machine does not have to be taken into a physicians office for the SD card to be read. The Smartphone app in this case allows the patient to decide to release the data. There are several stories about this technology written from the Big Brother perspective. In other words trusting corporations or governments with this data is just asking for trouble. The opposition will say that your data is already out there in social media, copies of critical data (text messages, emails, phone logs, travel routes, GPS locations, etc), and there is plenty of evidence that even secure accounts can be hacked. What difference does some information about medication taking make? As a psychiatrist, I can't envision much demand for this technology on a clinical basis. The best way to document medication taking is to just ask a person and check a plasma level of the drug. The most common scenario is that the person is just not getting any better and I need to know if it is due to inadequate levels of the medication or the medication is just not effective. Practically all guidelines suggest doses and time frames to demonstrate medication nonreponse. Psychiatrists have had long acting injectable medications available for some time. They work in the context of a good working relationship. The patient has to show up very two to four weeks for an injection. In the case of nonresponse it may still be a good idea to check plasma levels. The pill checking technology may be an adjunct to plasma levels to document that the medication has been taken reliably enough to produce a steady state of medication in the therapeutic range. This may be valuable in clinical trials where pills counts have been used as evidence of pill taking. In clinical research and practice the patient would need to be informed and consent to taking the pill. Forensic applications may occur in the case of coerced care. For example, a patient may be under a court order to take the medication and may prefer to take an oral medication. This would allow the court to follow the patient's medication taking to document compliance with the court order. There are several post-Orwellian scenarios that I am concerned about. The first is patent extension. The pill-sensor preparation is a distinct product and I would not be surprised that it results in another extension of the Abilify patent for this preparation. It would allow for a high medication cost even when the original Abilify preparation can be sold as generic aripiprazole. Secondly, if the electronic patent does extend the patent, the patent may be much longer than a pharmaceutical patent based on the electronic device. This is analogous to the situation with Advair inhalers where the mechanical apparatus of the inhaler prevented the pharmaceutical portion of the inhaler from going generic and extended the patent on a billion dollar drug. A third potential problem occurs at the level of what physicians will be forced to do to justify this medication. Will it be just the usual prior authorization or will it be more than that? I could see a scenario very similar to the current CPAP scenario used by a number of healthcare organizations. Many organizations currently rent out CPAP machines to patients with diagnosed sleep apnea and then download the electronic data about usage. If the patient has not used the machine at the level they expect, they insist that the machine be given back and the patient must pay a resterilizing and restocking fee. Will that be a new standard for expensive pharmaceuticals? Can we expect that the patient will only take an expensive drug on a trial basis? If the pill monitoring system says they are missing too many days - they will have to take a less expensive generic drug in the same class. What will the physician's role be in all of this? They will need to get data from the Smartphone portal. Are there fees associated with that? How much staff time will be involved? Will this system require human support like the electronic health record? There are a lot of unanswered questions. Post-Orwellian medicine assumes that there will be widespread acceptance of gadgetry and further privacy intrusions. But that is the practice of medicine we are left with when it is run by businesses and government - not physicians. The design of a medication like this also has a distinctive propharmaceutical bias. It assumes that medications that generally have diffuse effects on multiple organ systems in the body are producing a highly selective and effective medication response. The "cure" is the pill. Take the pill and you will be all right. In fact, we have seen that when patients are actively engaged in their care taking pills is not that much of a problem. For example, one of the most potent interventions for the chronically hypertensive patient is to have him or her monitor their own blood pressure at home. In many cases, they can take less medication, fewer classes of medication and have better blood pressure control. In the case of Abilify MyCite one of the suggestions about the need for this medication is that patients with schizophrenia have high rates of not taking their medications. There are psychosocial interventions like public health nursing and ACT teams that work quite well to assist people with their medication. There are long acting injectable forms of medication. There is a large body of work on cognitive deficits and lack of insight in schizophrenia that is untapped at a clinical level today. Clearly - all of the healthcare companies and governments funding treatment of schizophrenia want to keep it as simple as possible. That involves pretending that all of these other problems don't exist and that the real problem is that the patient won't take their medications every day. Medications that have been suggested by a psychiatrist they see 3 or 4 times a year who hardly knows them. That myth may be one of my biggest objections to this system. 2: Geoffrey Nunberg. Going Nucular: Language, Politics, and Culture in Confrontational Times. Public Affairs Press. 2014: p 121-125. 3: Prachi Patel. Gulp! Electronics go down the hatch. Chemical Engineering News. October 16, 2017. p 20 - 22. The Chip on a pill download is from Shutterstock per their licensing agreement. Stock illustration ID: 763524688 Chip on pill with medicine box. 3D Render by haryigit. The Demise of the "5th Vital Sign"
An Obvious Response to "Psychiatry Gone Astray"
Are Hallucinogens The New Miracle Drugs? News Flash From Channel 5: "There is a shortage of psychiatrists"
Real Psychiatry by George Dawson, MD, DFAPA is licensed under a Creative Commons Attribution-NonCommercial 3.0 Unported License. Based on a work at http://real-psychiatry.blogspot.com/. Permissions beyond the scope of this license may be available at http://real-psychiatry.blogspot.com/.